Your little man will show off his classically handsome good looks wearing his Vilebrequin Kids™ Cotton Pique Polo! Traditional polo collar with V-neck opening. Tone on tone turtle embroidery on chest. Printed Vilebrequin logo under collar. 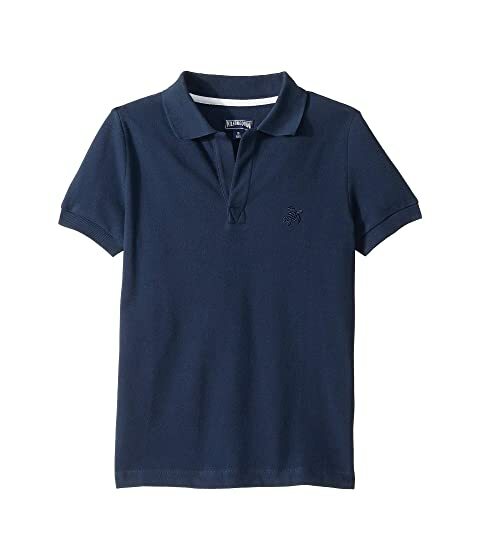 We can't currently find any similar items for the Cotton Pique Polo (Little Kids/Big Kids) by Vilebrequin Kids. Sorry!